Josef Kote, Always on the Search, Oil on Canvas, 48 × 60 in. 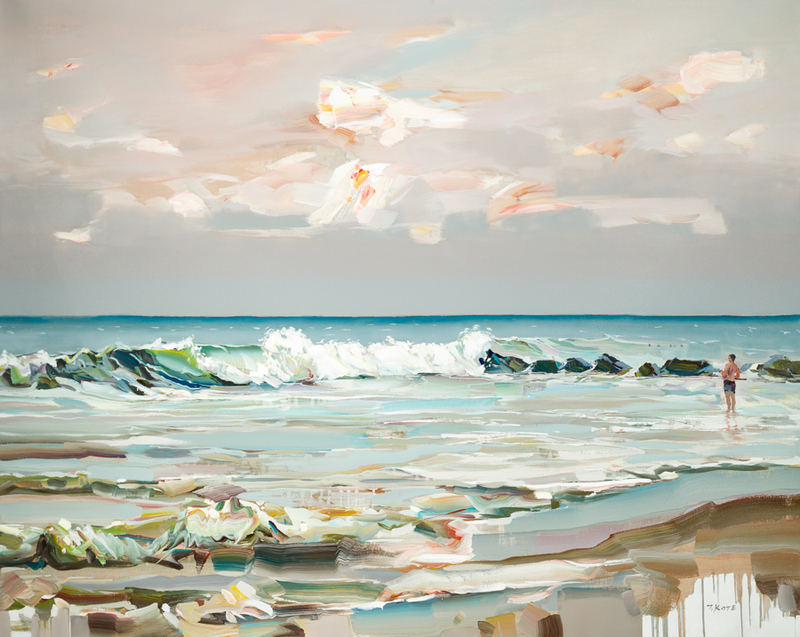 In Always on the Search, Josef Kote distinctively captures the energy of crashing waves with his lively paint strokes. The subtle range of warm tones throughout the seascape create a peaceful morning atmosphere. A lone figure taking in the beauty of the scene contributes to the painting’s reflective and nostalgic tone. Experience Josef Kote’s work at the gallery nearest you, or call to schedule an appointment with one of our expert consultants.